According to real estate figure Mark Kentwell, with the current upsurge of new apartment developments in Newcastle’s CBD, the population is expected to grow. reveals the CBD residential population is expected to grow 80 per cent, in the next 20 years. Newcastle’s CBD forecasted population growth rate is 2.38 per cent per year. The current population of Newcastle CBD is just under 4000 people, which is expected to reach 5800 in the next 10 years. Mr Kentwell, Managing Director of PRD Nationwide Newcastle and Lake Macquarie and Newcastle new projects, said the CBD’s steadily rising population would be serviced by the large number of residential project currently under construction. He said there are eight new CBD apartment projects scheduled in the next three years. “Developers are already seeing in the region of between 10- 20 sales per month of new stock, which is the highest level in several years,” he said. 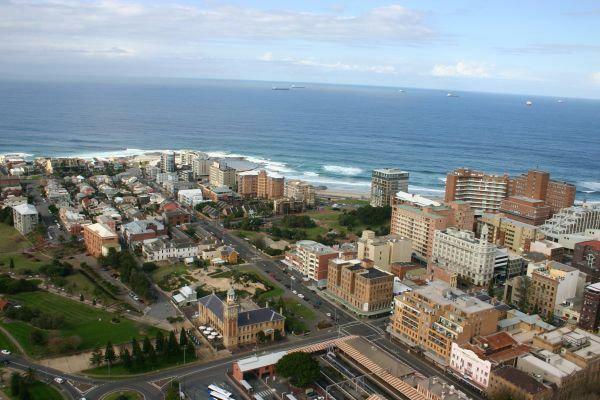 Mr Kentwell continued saying the combination of Newcastle’s urban renewal strategy and the residential projects currently underway, has created the perfect scenario for the city. There is an estimate of 850 new dwellings coming on board in Newcastle CBD. The dwellings are planned to be released between now and 2017. The projects currently under development, which have a collective value between $250-$300 million, include The Wren, Icon Central, Tattersalls on Watt, 45 Bolton Street, Arena, Civic Green, Spire Apartments, M on Watt and Peniche Apartments. The majority of the projects include commercial elements. “The scarcity of vacant land in the CBD means developers are either demolishing and rebuilding, or refitting old buildings,” Mr Kentwell said. “This is the case at the Civic Green project which involves the redevelopment of a former hotel into contemporary apartments and commercial tenancies. Mr Kentwell said the CBD was benefitting from its urban renewal strategy, plans for a University of Newcastle campus, and the booming Sydney property market. He said the median unit price in the precinct had risen 16.2 per cent to $498,000 during the past year. “Non-local Investors and out-priced young professionals are looking to alternate metropolitan areas like Newcastle as the Sydney market continues to heat up and become pricier,” he said. “So these factors along with a promising population outlook resolve concerns about an oversupply situation in Newcastle’s CBD.